Useful Links – BooXS Rock! 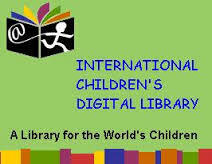 An online children’s library that allows access to digital copy of books written in different languages. As of today , the site includes 28 popular children’s book titles. An online source that provides free access to the most updated and authoritative databases. To know more about it please follow the link provided: http://elibraryusa.state.gov/*User ID and password will be provided upon request. Please see your GS LRC librarian. Gives free access to children’s stories, magazine articles, recipe for kids and teacher tools for teaching. Games and activities are also available to provide kids a venue to learn while playing. A very interesting site which promotes and provides access to storytelling videos. The illustrations where made interesting through animations which kids will surely love. ” Into the Book is a reading comprehension resource for elementary students and teachers. We focus on eight research-based strategies: Using Prior Knowledge, Making Connections, Questioning, Visualizing, Inferring, Summarizing, Evaluating and Synthesizing. Try the online interactive activities, or click below to find out how to get our engaging 15-minute video programs. 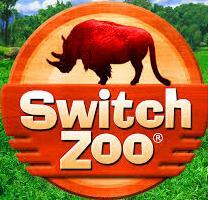 “Play animal games, make new animals, solve jigsaw puzzles, learn about animals, join a quest, and more! Teachers—Visit Teachers’ Resources for lesson plans and more info. “Math Playground is a popular learning site filled with math games, logic puzzles, step-by-step instructional videos, math practice, and a variety of problem solving activities. A favorite of parents and teachers, Math Playground provides a safe place for kids to learn and explore math concepts online.